he and his crewmates following the crash of their helicopter. Daryl Leroy Miller was born in Sharon, Pennsylvania, on December 11, 1942. His parents were Owen Hope Miller of West Chester, PA and Kathryn Emeline Fulton of Oxford, PA. The family consisted of Daryl, an older brother, Owen Hope Miller Jr. and a younger sister, Kathryn P. Miller. Daryl's father passed away on April 15, 1995, at the age of 82. His mother continues to live in Muncie, IN, with his sister Kathryn. Growing up, Daryl was a Cub Scout with love for fishing, tennis, and archery in which he won several awards and medals. He attended Sharon PA grade and high schools and went on to graduate from Youngstown University in August of 1965, with a B.S. Degree in Management Accounting. Following college, Daryl enlisted in the army and in April of 1966was assigned to rotary wing helicopter training, as a member of class number 67-3. 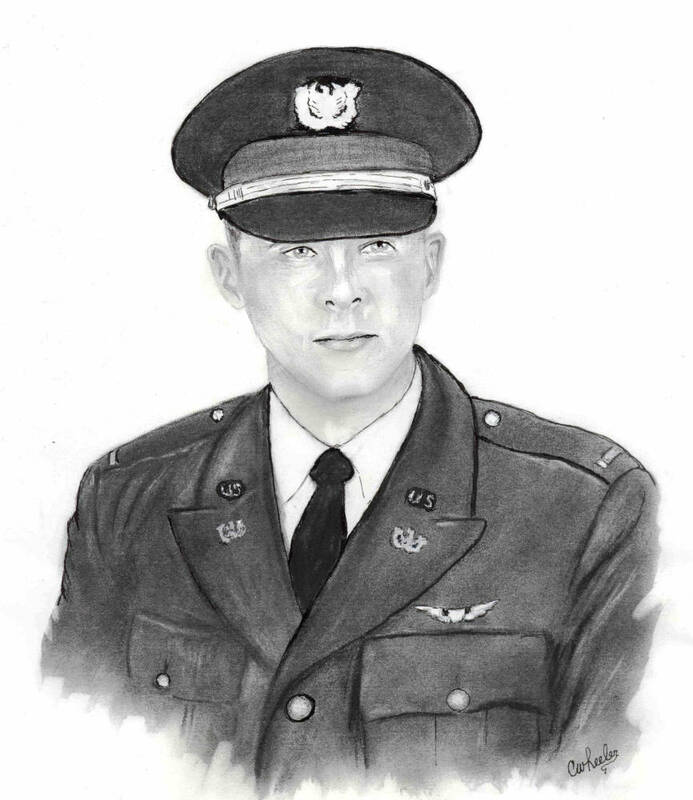 He graduated on April 11, 1967, and was awarded his Silver Wings and commission as a warrant officer aviator. Following graduation from helicopter training Daryl was deployed to Vietnam. On May 24, 1967, he joined the 281st Assault Helicopter Company in Nah Trang South Vietnam where he was joined the Bandit Platoon in providing aviation support to the 5th Special Forces, located throughout the country. In early August of 1967, Warrant Officer Daryl Miller was a member of the 281st AHC Project Delta support team under the command of Captain Bob Moberg, operating out of An Hoa South Vietnam under Special Forces Operational Order 7-67, Operation Samurai. On August 6, 1967, the crew of UH-1D 65-09919 was under the command of WO Gary Omdahl. WO Daryl Miller was the co-pilot, PFC Michael Goffredo was the Crew chief, and PFC John Camden Soper was the door gunner. The 281st flight, supported by the Wolfpack gun platoon was in the process of extracting a reconnaissance team in a recovery area covered by tall trees with sparse foliage. The recon team was in sight with no reported enemy activity. However, the recovery site was located on a steep grassy finger, and the extreme slope of the site along with the high grass made the approach difficult. WO Gary Omdahl recalls that he brought the aircraft to a hover over the pickup point and was in the process of maneuvering the helicopter backwards toward the slope with the crew chief and gunner checking the tail rotor for clearance. As he moved the helicopter close to the pickup point it suddenly dropped straight down and he recalls that it felt as though it tumbled end over end before coming to a stop down the hill from the pickup point. The crew exited the aircraft and at about the same time it burst into flames. At that point the only injury was to a member of the recon team who was hit by a skid when the helicopter initially lost power. Gary recalls that the injured member of the recon team was the first to be evacuated from the site. Captain Moberg directed the crew to move back to the original pickup location and set the recovery plan in to effect. He then returned to the base camp for fuel and while refueling he was informed that a USAF CH-53 rescue helicopter was en route to the site to recover the crew and the recon team. At this point a Wolfpack gun platoon section, under the command of Captain Fred Mentzer, had refueled and was on site to provide fire support for the recovery operation. The USAF CH 53 arrived on site and begin recovering the injured individual and at least one other member of the recon team. Following their recovery WO Omdahl placed his three crew members on the hoist for pickup while he remained on the ground. As the pickup of the 281st crew got under way the pilot of the CH 53 reported that he was taking fire and almost immediately thereafter reported that he had an engine fire light. Distracted by these events he maneuvered the aircraft away from the pick up point with the cable holding the 281st crew extended and in so doing the three crew members struck a tree, causing the hoist to swing and lag behind the rescue helicopter. The Ch-53 continued in flight and the cable holding the crew was severed dropping the 281st crew to the ground. Captain Mentzer marked the crew's location and a 281st recovery aircraft approached and hovered over the site allowing MSGT Joe Singh of Project Delta to jump into the area to assist the downed crew members. The remaining members of the Project Delta recon team rushed to the location and reported that all three crew members were dead. The 281st recovered their fellow crew members and the remaining members of the recon team without incident. On 0700 hours on August 8, 1967 the members of the 281st AHC gathered at the Chapel of The Green Berets to remember Michael and his fallen comrades. During the conduct of OPERATION SAMURAI over the period 15 July 1967 through 18 August 1967 we, the Delta / 281st Team, exacted a heavy toll from the enemy. Today, our combat team enjoys a reputation never approached before and one which my be hard to exceed in future operations. It is very clear that our successes are directly attributable to the supreme efforts of men such as Warrant Officer Daryl L. Miller, Private First Class Soper and Private First Class Goffredo who lost their lives in aggressive pursuit of their highly dangerous and demanding jobs. It is difficult to fill the void created by their absences with words of condolence; however, for the lack of any approach more effective, my men and I offer our most profound sympathy. Major Robert Moberg, Commander, 281st AHC Fight in support of Project Delta. Major Barclay A. Boyd, Commander, 281st Gun Platoon (Wolfpack). Captain Fredrick Mentzer, Commander, 281st Gun Platoon Section (Wolfpack) and the 281st AHC investigation officer responsible for the official investigation into the facts and circumstances surrounding this incident. 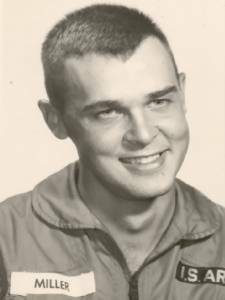 WO Gary Omdahl, Aircraft Commander, UH-1D 65-09919. Benjamin G. "Ben" Sharrow, who served with Michael, John and Daryl in 1967 and provided the 281st AHC Memorial Service Program and letter from Major Allen. COL John W. Mayhew, USA Ret.